A road trip guarantees a real senior travel adventure. 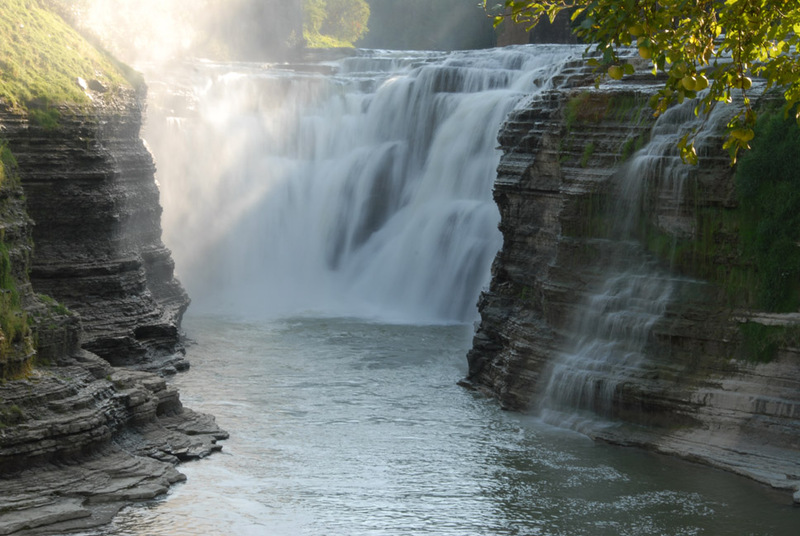 A week’s driving through the glacier formed Finger Lakes of West Central New York State, is barely enough time to explore this sampling of Americana. Flying in and out of Rochester gives you the opportunity to tour the Eastman House (www.eastmanhouse.org) with its photography research center, and the unique Strong National Museum of Play (www.strongmuseum.org). 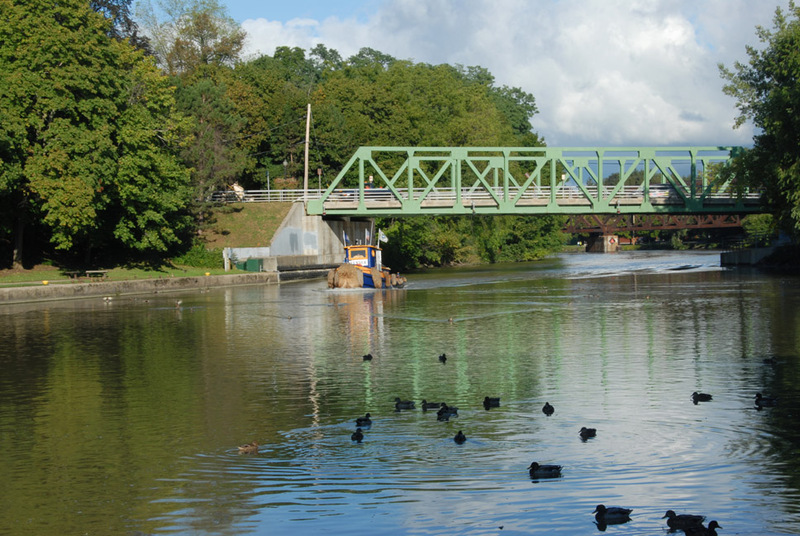 On your way to your overnight in Canandaigua you’ll see the Erie Canal with a quick stop in Pittsford, and see how the canal is adapted today to leisure activities. Also on the way in Mumford is the Genesse Country Village and Museum (www.gcv.org). And what would a road trip be without getting slightly lost, or thinking you are lost? A correctly programmed GPS system in your car will become invaluable and a real comfort while traveling the many back roads of the expansive Finger Lakes. This was my first time with a talking map, and after we came to an “understanding” the device was an asset to the road trip adventure. Continuing on you may want to drive the twisting wooded roads of Letchworth State Park, which is listed as the grand canyon of the east, and does have some surprisingly nice scenic turnouts. Over night at the comfortable Bristol Harbor Resort in Canandaigua is highly recommended and a brief home base for touring the Canandaigua Lake area. The town itself has quaint architecture and a stop off at the finger lakes visitor bureau at 25 Gorham street, can be helpful for last minute directions and touring advice. The office encourages visitors to contact them for information on the area and what sights a first time visitor might like to see. It was invaluable to me, as I picked from their extensive catalog the areas I found interesting and they were able to offer a suggested itinerary. Jump in your car and drove south on Rt 21 towards Naples. 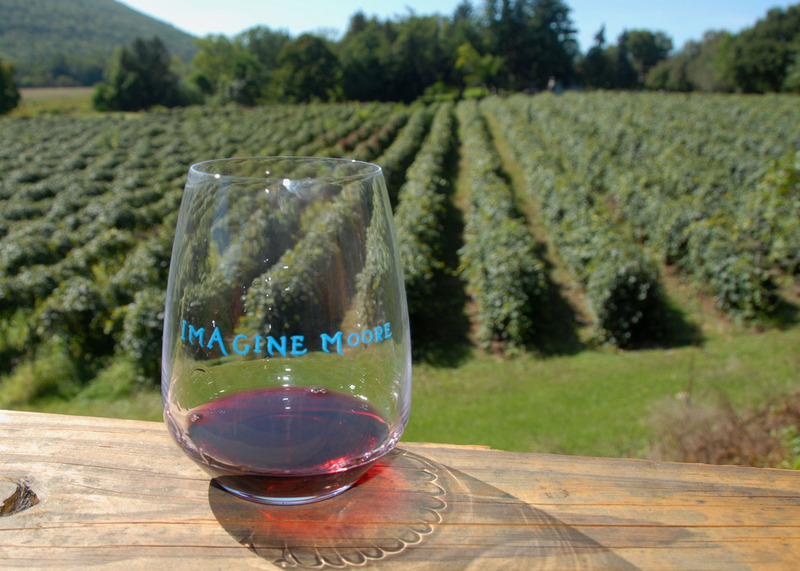 Let your intuition choose which of the road side offerings to sample gifts, wines and foods. There are so many it would be hard to see them all but I enjoyed the small but packed Monica’s pies (www.monicapies.com). A most original and indigenous treat are the grape pies, a sweet treat with a homemade goodness, which has won many awards. Grapes in New York state of course are made into wines and the Imagine Moore Winery (www.imaginemoorewinery.com) has a congenial wine tasting house right next to a vineyard. I found their wine good enough to buy and take home. Other notable wineries in the neck of the Finger Lakes is Arbor Hill Grapery (www.thegrapery.com) and the Widmer Wine Cellars (www.widmerwine.com). Being an art glass collector I was tempted to purchase at the local artist gallery, Artisan’s – Gifts from the Finger Lakes, (www.artzanns.com) with their well priced local art, including paintings, pottery and a few pieces of art glass. Back to Canandaigu’s New York Wine and culinary Center (www.nywcc.com) where I was privileged to sit in on an evening Wine and Pasta pairing demonstration. My dinner in Tuscany exhibition with Chef Lorenzo Boni gave me a new appreciation of Barilla Pasta and their sauces. Now I relive a little bit of my Finger Lakes experience every time I go to my local supermarket. Be sure and take time to relax by strolling Canandaigua’s lake shore drive and city pier with its historic boat houses. Also be aware that the Ontario county courthouse is where Susan B. Anthony was convicted and fined one hundred dollars for voting. Another famous Finger Lakes town is Watkins Glenn, know for its race track, where it is possible with an appointment for you to drive your own car around the track. I chose to take a relaxing (and can be romantic) evening boat ride on Captain Bill’s Seneca lake dinner Cruise (www.senecaharborstation.com). An over night at the Watkins Glen Harbor Hotel (www.watkinsglenharborhotel.com) is a convenient and luxurious oasis with gorgeous views of lake Seneca. Allow plenty of time if you wish to venture into the Watkins Glenn State Park, where waterfalls and nature combine. My time was brief as I was off to Hammonsport to be introduced to the Glenn Curtis’s Museum centering on aviation, motorcycles and other firsts. The firsts continue with a tour of the Pleasant Valley Wine company established in 1867. Forty-Five minute guided tours are offered to explain the complicated process of wine, sherry and champagne making in their expansive facility. Next month Part Two of Touring the Finger Lakes of New York.